​This four-masted restaurant/sailing ship has been restored to turn-of-the-century grandeur. Academy designed and engineered the service and distribution of the 1,600 AMP service at 480 volts. This design was extremely important due to the ships location on the water and the constant movement of the ship due to tidal changes. Academy was responsible for the design of all exterior lighting, which included the illumination of the ship’s 175 foot mast and rigging by installing more than 20,000 watts of uplighting and 2,000 gas filled, low-voltage lamps. The interior of the ship was fully rewired from the hold to the bridge to accommodate the addition of a full service restaurant. A 120 kw generator was lowered by crane into the hold of the ship to provide emergency power. Project Cost - $1,200,000. Academy Electric has completed two new 10,500 sf Golden Corral restaurants; one in Vineland, NJ and one in Northfield, NJ. Project Cost For Each - $105,000.00. 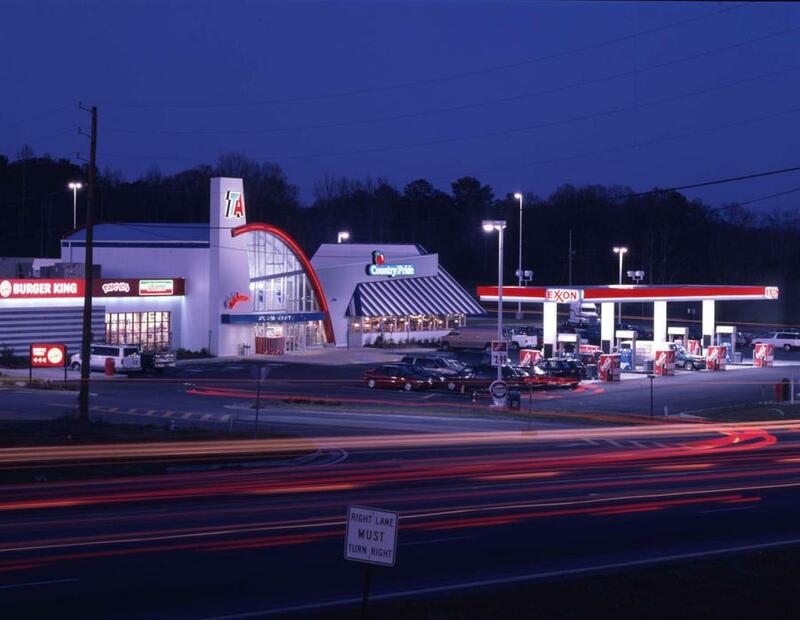 This project consisted of a 27,000 square foot renovation including enlarging and remodeling a convenience store, installing three new quick service restaurants and the addition of a new maintenance garage. Incoming service was upgraded to meet the requirements of Maryland’s utility authority, which called for the installation of a new 1,000 AMP, 480V, 3-phase service and new utility company transformer. Installation of more than 50 exterior 60-foot site lighting poles required more than 6,000 feet of underground conduit and wiring. This project included extensive exterior and interior neon lighting. This renovation/addition was completed without any disruption to the businesses at this busy travel center and service station. Project Cost - $150,000. This restaurant and sports bar located in Marlton, NJ required extensive installation of wiring and cabling to accommodate its many cameras, televisions and a state-of-the-art sound system. Additional features include a large commercial kitchen. Academy also completed the addition of exterior site and neon lighting for this client.